Use showing time. 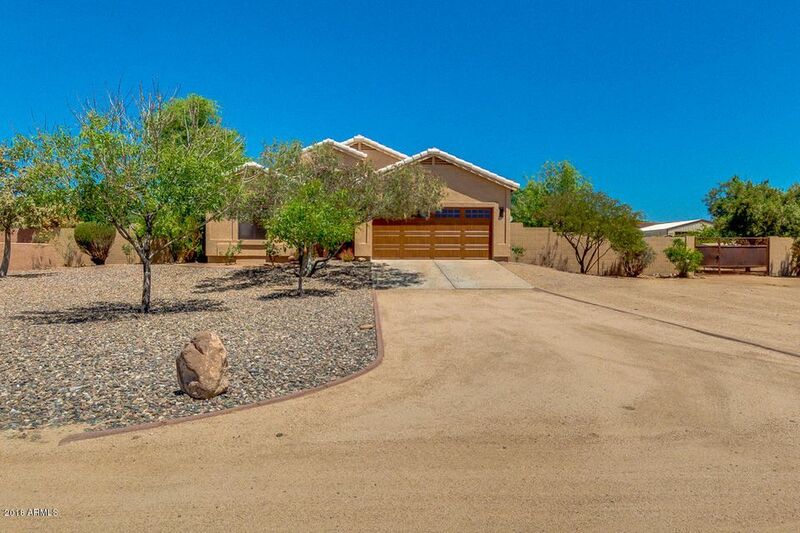 Beautiful, fully self contained, ranch style horse property. 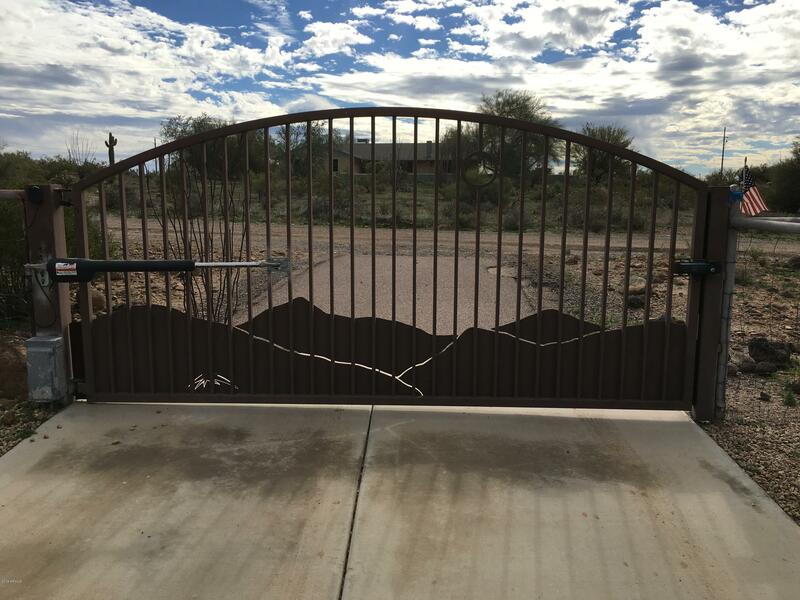 Electric, gated entry leads to stunning rambling ranch house. Kitchen dining area, patio and gazebo feature coveted unobscured mountain views. Guest house in rear features separate lvrm, bdrm and bath with kitchenette area. Also has its own carport. Covered rv area, rv gates, rv connections and dump station. Corral, covered hay storage area, shop, storage/tack room, and fully fenced. Private well, with in ground well pit and storage tank. Fully enclosed garden. Whole property on automatic generator back up system. Too many extras to mention. Must see! This is a truly rare find! Beautiful ranch style home with complete horse-set up on 2. 5 acres. Featuring separate guest quarters with 1 br & 1 ba, a 40 ft rv garage plus additional 2-car garage/workshop (5-car garage total), horse set-up with 3 stall barn, additional 9 stalls, corrals, large tack room, auto water and hot walker. 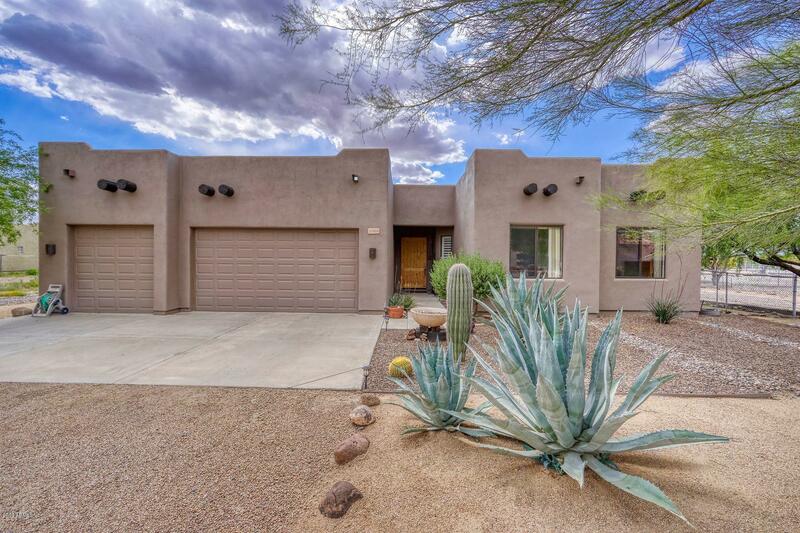 This fabulous 3 br/2 ba home features flagstone flooring throughout, stone fireplace, huge kitchen loaded with cabinets, plant shelves and tile counters. 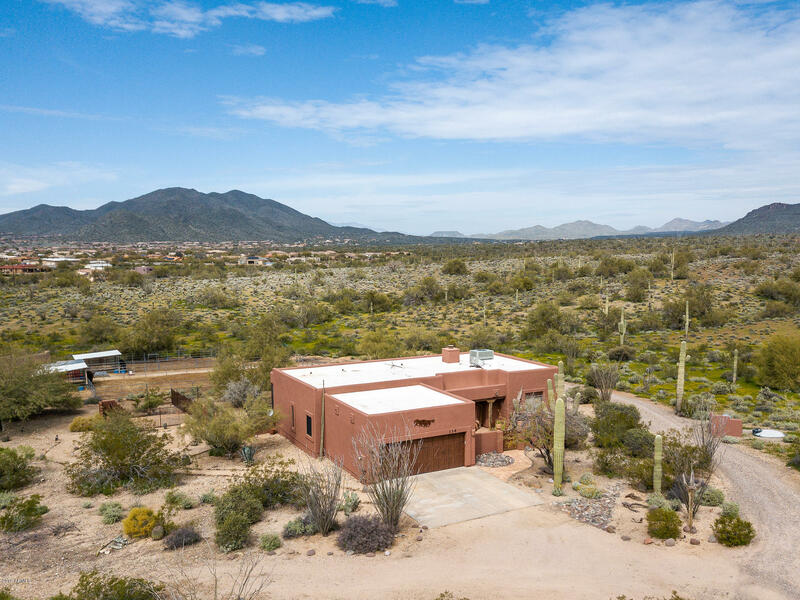 Also features glass block showers, jet, french doors, extended covered patio & built-in bbq, corral fencing with block post+++take a look at the photos! Absolutely charming recently updated custom built ranch style home situated on 2. 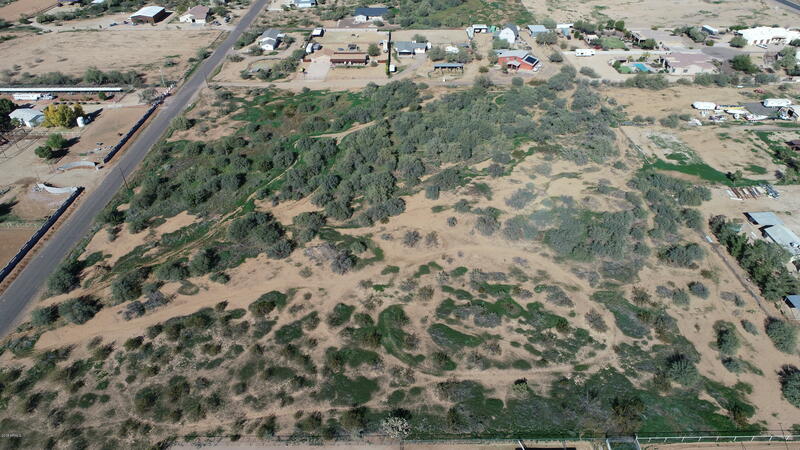 5 acres adjacent to state land. Comes complete with beautiful mountain views, roof recently recoated and brand new a/c. Property is meticulously maintained, only one owner and is horse ready with private great producing well. Horses will enjoy roomy stalls and turnout/arena. Plus there is plenty of room to expand to achieve anything imaginable. Room for rv/trailers, lots of space for other livestock, motorsport toys, play area or put in your own backyard swimming oasis. Best of all enjoy riding out right from your own back yard. Ohh and no hoa! 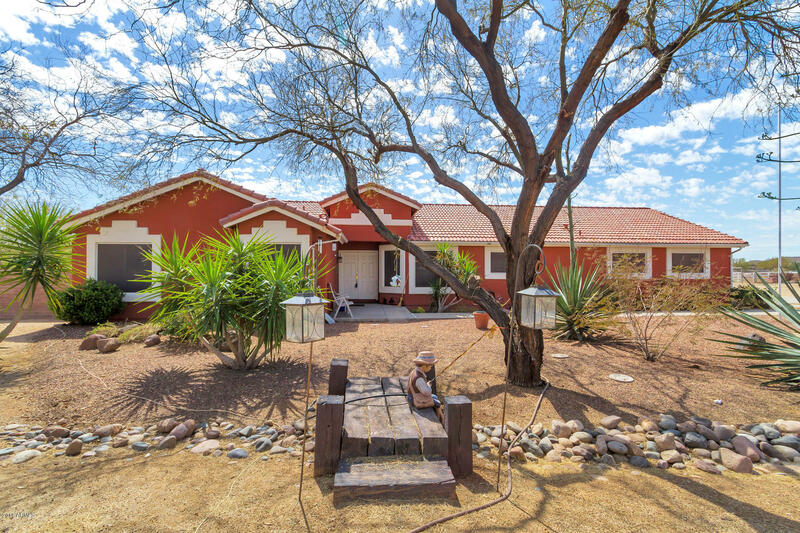 Come see quiet country living in this large ranch style home in a unique setting with mountain and desert views. 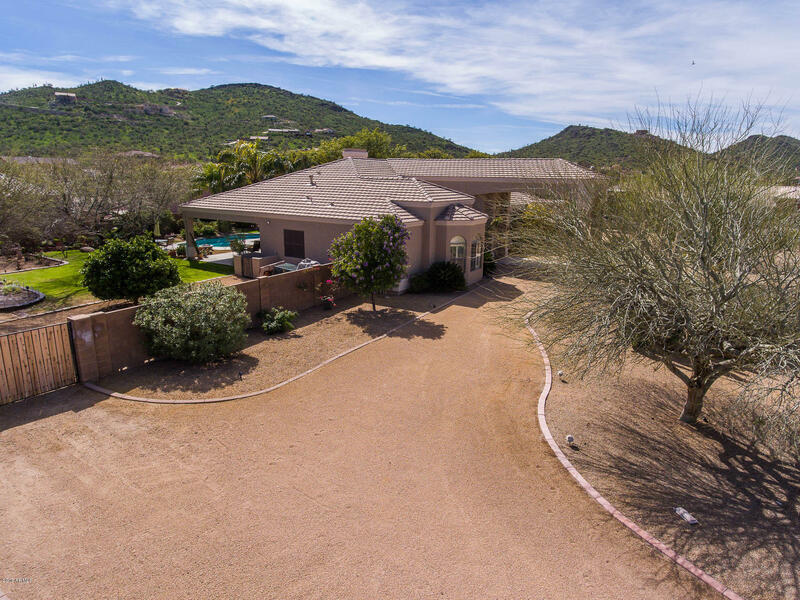 This custom home has it all, 1 acre plus with lush back yard. Large covered patio area with sparkling pool and soothing waterfall, freestanding spa. Shade and fruit trees surrounded by lush grass make this backyard oasis with built-in bbq and fire pit the perfect place to entertain. Large freestanding workshop with power and lights for the hobby/building enthusiast. Dual rv gates for access to a large parking area for boats and rv's. Home is completely wired inside and out for tv and music. House has hardwood floors and tile in all the right places. This split master 4 bedrooms/ 4 baths and office that looks out on front yard has 5900 sq. Feet under roof and 3355 livable. An arizona ranch at its finest! 2. 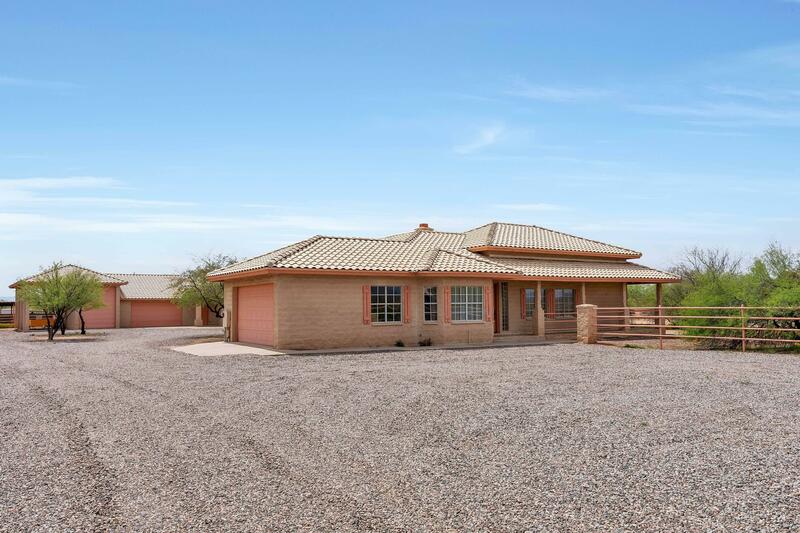 3+ acres with all the bells and whistles on this horse property. A great room plan with just the right size at 2172 sf and split master bedroom with 3 more br's. The second bath is spacious with separate shower and tub. Great room features beehive fireplace and dining area. Kitchen is a dream with stunning granite slab counters, custom knotty alder cabinetry, center island with wine rack, and breakfast bar. Backyard is fenced and has a dog run on the side of home. Pull through back drive for easy loading/unloading trailers and/or rv. 6 stall mare motel with water, lighting and huge turnout. Lighted arena is about 115' by 52'. There are also 2 storage barns and a hay barn. Rv parking with a cover and electric. Too much to mention, you must come and see! Horse ranch property on over 2 acres with gorgeous mountain views!! 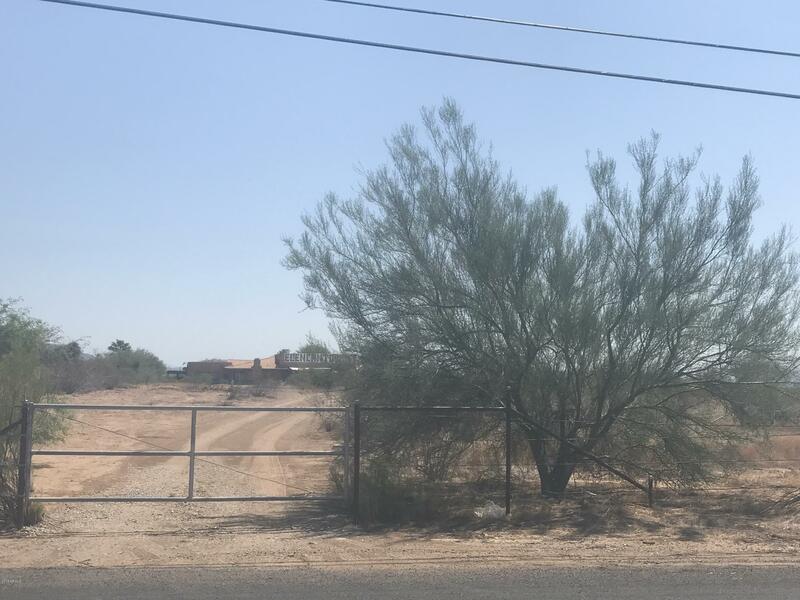 2 corrals, 2 large pastures fenced 14' x 36' with shade, and unfinished large barn that has room for tractor, horse trailer and/or hay storage. Home features custom screens that shield 78% of the heat/sun, great room open floor plan, wood floors, carpet in bedrooms, formal dining, crown molding, vaulted ceilings, bay window, large master with huge walk-in closet and large soaking tub. Other bedroom has walk-in closet. Exterior features over sized garage with cabinets,large covered patio perfect for entertaining, mature orange, pomegranate, and fig trees, grapes vines, and fire pit with tear-shaped block floor. High efficient trane unit. Entire property is fenced and cross-fenced. Property has it's own well and septic. 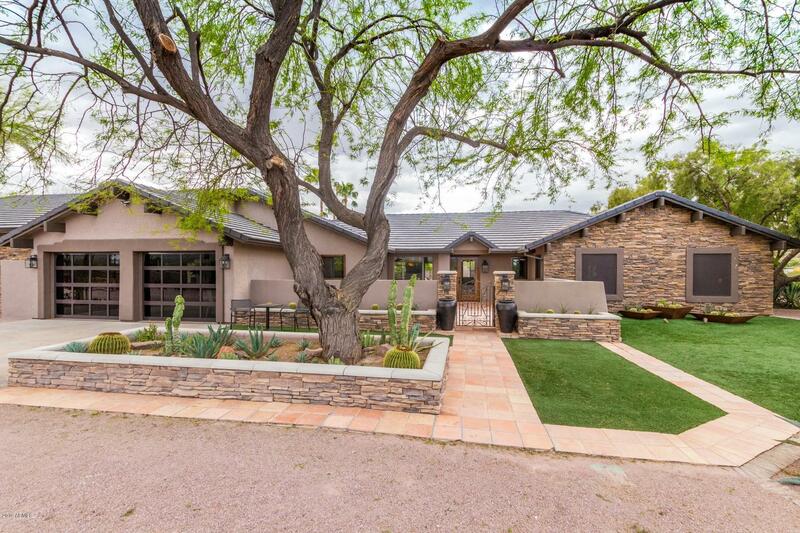 Updated home on over an acre in desert hills. Great room floor plan with warm wood flooring and lots of natural light. The entry hall is the perfect place to display your art or family photos. Modern kitchen with sleek granite, soft gray cabinets and a large breakfast bar. Spacious master suite and attached bath with walk-in shower and garden tub. This huge backyard provides the perfect space for the kids and pets with plenty of shade to keep them cool in the summer! Bring all the toys, no hoa! There is so much privacy on this quiet scenic property, you will never want to leave! Nearby, jump on the 17 for easy access to your local fry's food for groceries or a starbucks coffee on w daisy mountain dr! You are only a few miles from nearby trails for hiking or dove valley ranch golf club!